Our dedicated team turns your investment in web development into big results for your business. 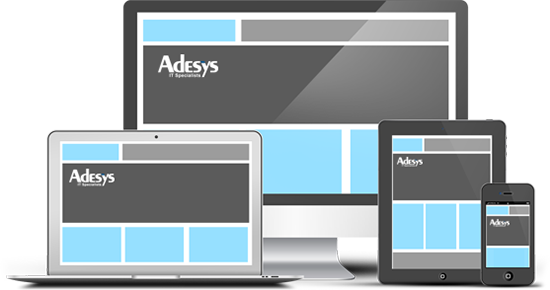 From usability to analytics, design to development, Adesys delivers! Our approach to web design is data-driven. We design and develop websites that attract and convert visitors into customers. With our robust and rock-solid website hosting options, your website is in good hands with our 99.9%+ uptime. Registering, protecting, and managing your domain names is best left to the experts. Protect your business and customers from online threats by using an SSL Certificate on your website and local file server. Our approach to web design is data-driven. We don't design websites based on hunches; we follow real data to deliver the greatest impact that can be harnessed from your website. Using analytics from your current website combined with our expert analysis, we develop websites that attract and convert visitors into customers. Examining analytics, understanding typical behaviors of audiences, and implementing scientifically proven usability and persuasion techniques are all coordinated in our process to get results for your business. Whether your business has a small marketing website or one that runs business-critical applications, Adesys offers customized website hosting solutions with 24/7 support. Several website hosting plans are available to fit your needs. Your domain name – it's how the online world finds you, and Adesys understands the importance of protecting and managing your domain names to ensure they never get into the wrong hands. We're experts in acquiring and managing domain names. Contact us for more information and pricing. There are many benefits of installing an SSL certificate on your website or local file server. Benefits include; domain authentication, guards against phishing, adds brand power, and improves your customer's trust in your business. An SSL Certificate is crucial for accepting online payments through your website. There are many options for SSL Certificates, therefore, contact Adesys for more information.